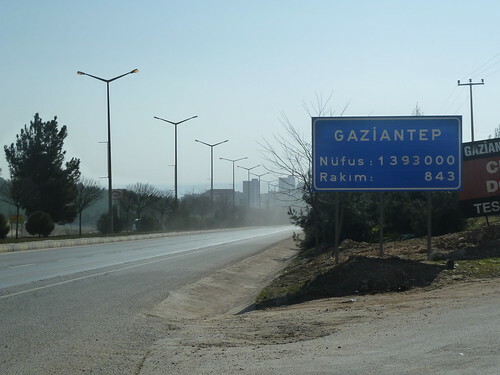 Gaziantep makes 61% of the country walked across. That’s 1280 kilometers; 795 miles; 4-1/2 months. When I got to Konya, which was 30% of the trip done, I only had the physical and mental strength to load myself into a bus and wash up on someone’s doorstep. Last night I felt the same way. This time the doorstep will be in Mersin. I have a few social calls to make in this area first, and then I head to Mersin for a week.